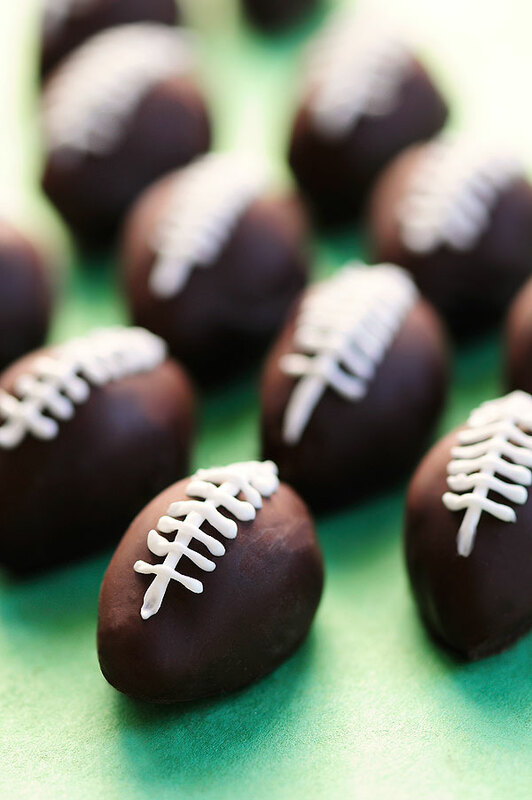 Chocolate Peanut Butter Footballs are such a fun sweet treat to make for game day, and they are so much easier than they look. Plus, you can make them ahead of the game by a day or two, which is a real win-win in any game plan book! 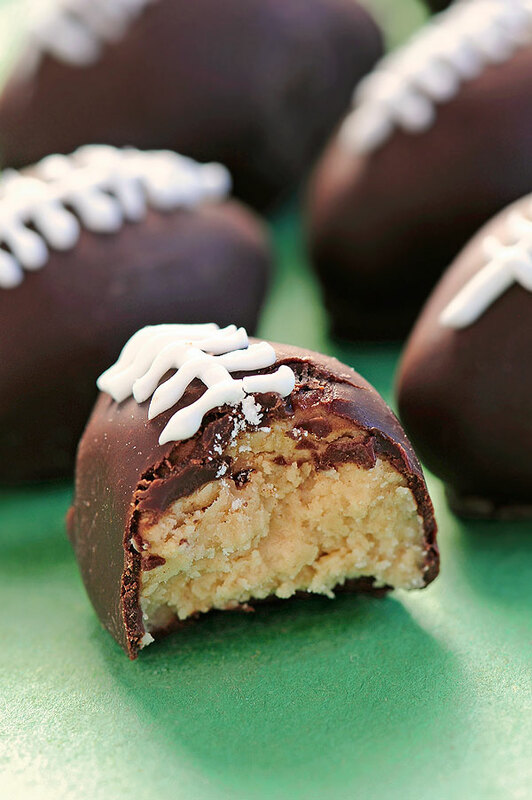 These Chocolate Peanut Butter Footballs are not for throwing. Unless, of course, you’re talking about tossing a few in your mouth. And while it may be hard to get the perfect spiral, you’ll score big points with any football loving crowd. Festive Chocolate Peanut Butter Footballs may look complicated but they are actually easy to make, and you can make them a couple of days ahead too. Prepping ahead is a big perk when it comes to entertaining on a busy game day, especially if you are needing to travel down the road to set up early for tailgating. It’s kind of like the perfect game plan in my play book. Anytime I can prepare food early so I can spend time enjoying the party is a total win-win. Entertaining is no fun when you’re stuck in the kitchen worrying about putting the finishing touches on food while everyone else watches the fun commercials, is it? Easily make these cute treats by using the basic Chocolate Peanut Butter Balls recipe, and instead of forming round balls, make itty bitty footballs, dip them in melted chocolate, pipe the laces on with white icing, and you’re done. Touchdown! Just envision yourself spiking the ball and doing one of those crazy touchdown dancing things. I can just see you now! I hope you enjoy making these as much as you enjoy eating them. They are certainly a fun treat that will score big points on game day. Go team! If peanut butter allergies are a concern, you can substitute my Chocolate Almond Butter Balls Recipe. Also, check out these adorable Nutella Chocolate Football Truffles I discovered over at Just a Taste. So cute! They look perfect for the Nutella fan. 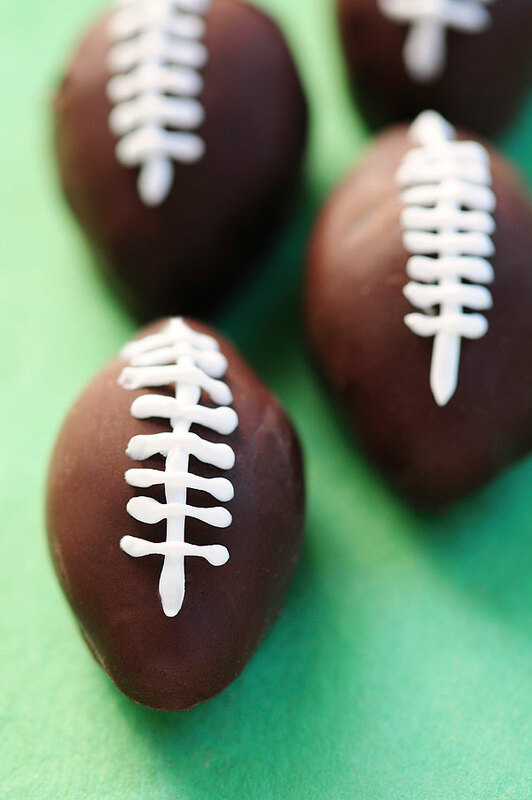 These fun footballs are the perfect treat for game day! Follow instructions for creating Chocolate Peanut Butter Balls, and instead of forming 1-inch round balls, form football shapes approximately 1 1/2-inches long. Follow remainder of recipe instructions. 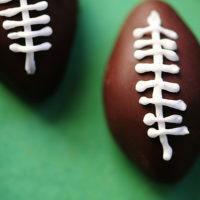 Once chocolate dipped peanut butter footballs have firmed up, pipe on lace details with white icing using a fine pastry tip. Let icing harden. Cover until ready to serve. If making ahead cover and refrigerate until ready to serve. * If peanut butter allergies are a concern, check out this Chocolate Almond Butter Balls Recipe. Originally posted January 25, 2014. Mmm these little footballs sound great! These turned out adorable. It’s like PB eggs, but footballs, which means more peanut butter, right? This is such a great idea! 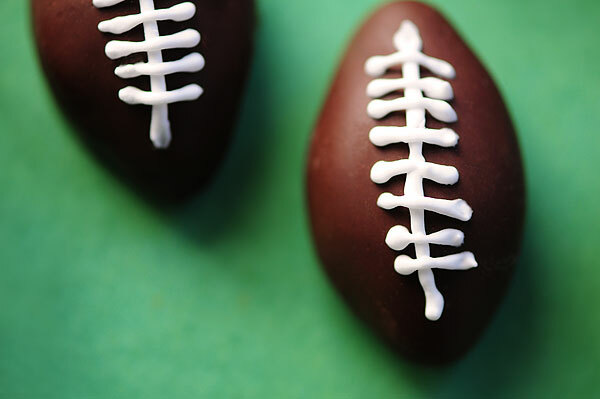 Why should we have to wait for Easter for PB eggs?…I mean footballs? 🙂 yum! Hey, Claire! I used long toothpicks or wooden skewers inserted into side of football, then carefully dip each mini football into the melted chocolate, let the excess drip off, then use a fork slid under the football (with the toothpick going in between the fork tines) to lift the football off of the toothpick/skewer, next use the toothpick/skewer that was just removed to gently push the football off of the fork. It sounds complicated but it’s really very easy. 1/30/2015 I am making these right now and it is very difficult to make the lovely football shape you have in your pictures. What is your secret? Just made a double batch of these! Ended up with about 30 or so… I pressed the dough into a spoon to help shape into footballs and then pinched the ends with my fingers a bit to get the shape right! Great recipe! 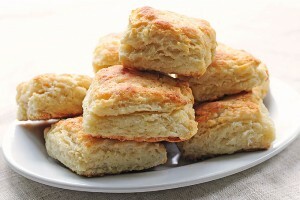 These are going to be a hit at my Superbowl party! Super easy!! Such a great tip, Kendra! Happy party time! I love these footballs filled with peanut butter, and just in time for the 2015 football season. I will definitely make these for my first NFL football party. Go Packers! Adorables, totally adorables!!! These are just in time for all the testosterone coming to our living rooms to watch the big game! these are trouble. I love it! Probably the only footballs my family is interested in!